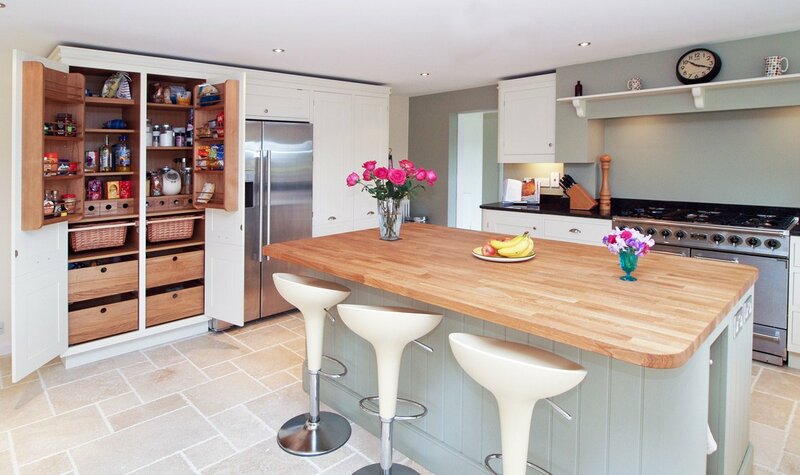 Our range of traditional country kitchens is fantastic. We provide everything in door material and colour from hand painted to solid timber doors. We also supply all the various styles of traditional kitchen doors. These include recessed centre panelled doors, sometimes referred to as "Shaker" and raised and fielded centre panels doors. We are also a specialist in traditional cabinets that have a frame around the doors & drawers, also known as In-Frame. Traditional country kitchens have an unrivalled, timeless appeal. They can include classic features such as butler sinks, AGA’s, chimney features and so on. A more decorative handle may be chosen to compliment a traditional kitchen, with popular finishes including cast iron, pewter and antiqued nickel. Once you have specified the kitchen door you love our designers will help you to select the appropriate worktops, appliances and accessories that will complete the look you aspire to.